Biochar Project 2012 wishes everyone on earth a awesome years end and a fabulous new years start. Here is what we have gotten up to in 2012. We have come to peace with the awesome 3000+ acres of land we care-take. This land has some magical features and some strict rules of her own. We acknowledge the dolphin lady and her prophecy. We accept the terms and soldier on. The word biochar was our goal to spread in 2012 and we think we have done a great job of that. Our statistic program shows well over 1million page views for 2012 all with no ads. We have learnt a lot about agriculture. We have learnt a lot about chemistry. We have even learnt a lot about the fringe science of geopathic energy. We have learnt that biochar is a team player and needs all the other biology. We have learnt a lot. I have made nearly 9 tons of biochar in 2012 all by myself with a total of 5 different technologies. I have adjusted 2 highly regarded agricultural legends Base concepts with my knowledge of biochar. I have enlightened nearly 1500 souls of the benefits of Biochar to our world. I have carried my mentors on my shoulders as we venture outside the box to take on close minded fools who are well regarded in their own fields of expertise. Not to mention we have won all battles and remain unchallenged. I have spread more than half of the biochar I have sold through out the land just as I promised. I have created a new way of biochar to be made and named it after my mentor. I have learnt about cows and the holistic land management. About chickens and goats I have created 2 huge worm farms that will provide biology for the char I make. Right now I have a compost tea brewing for tomorrows garden spray. I am excited and I have so much to learn. My blogs only reveal about 1/3 of what I have done however tonights impromptu blog post will reveal much more. We have created world firsts like Hemp-create earth-ship drying shed, Biochar industries and Bush mechanics. We have won world recognition for our education and our initiatives. We have embraced abundance and have created the hill of abundance. We see things in a very different way. We are having a ball and I hope you are to. Thank you for tuning in and thank you for supporting us through 2012. Thankyou to the following folks. Hugh Mclaughlin , Erich J Knight, Hugh Lovel, Graham Sait, Geoff Moxham, Gillian Tubbs, Paul Wildman, Peter Van, Mel Edwards, Sebastian and Johnny, and all the biochar project 2012 folks around the world. Charmaster Dolph Cooke After 2 beers celebrating the new year. I wish you become as happy as I am for 2013. Oh I forgot to give you pictures here they are. Where is this project? How can i setup in my city? Well done, a great start. Iam still hoping to find someone to build my compleatly sealed batch pyrolysis unit. It is badly needed on nearly evry farm in the world to produce biochar, diesel fuel and synegass for energy. Well Michael what is needed ? Is it something a bush mechanic can make ? Happy New Year 2013 ! to you and the BioChar-community. I am in France and discovered BioChar (and BioCoal) a few months ago. I habe been reading up a lot on BioChar, and also viewed quite a few videos, some of your’s, some NewEngland ones and others….Very interesting! I am pretty keen and convinced on BioChar’s uses and benefits. I would like to contribute to it’s introduction into France. I am presently looking to find an industrial path and version (possibly to manufacter under Licence? 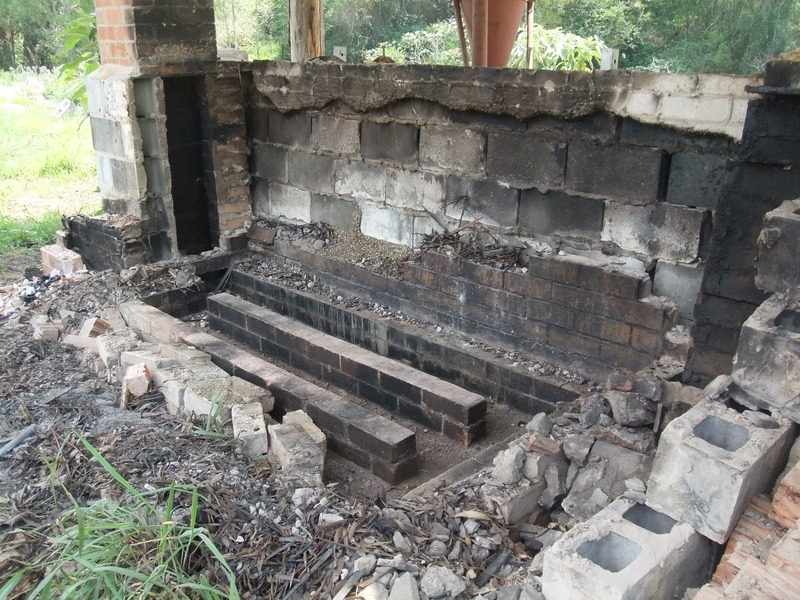 ), in order to get mixes of BioChar with compost and provide a kind of Terra Pretta…. Seen from your end, you may think we walk on our heads, over here…but our feet touch ground ! Awesome mate thanks hope 2013 is great to you too. I will send you his details. Previous post: Farm scale biochar. Taking on farm biochar making to a new level.